To celebrate 25 years of licensed NHL® and NHLPA hockey cards, Upper Deck is hitting the road to personally thank the shops and customers who have kept the company going strong for all these years. Upper Deck is heading north to visit a Canadian shop in Kelowna, British Columbia for a special evening with their collectors. 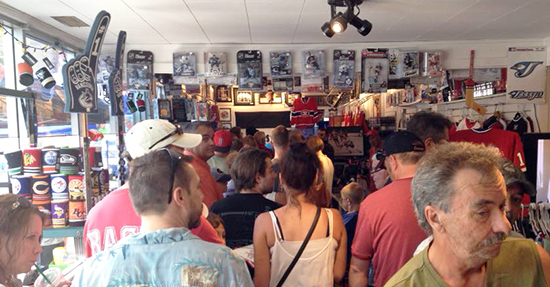 Players Choice Sports Cards & Collectibles will be the place to be on Wednesday, July 8 from 5:30-6:30 when Upper Deck drops in with Luke & Brayden Schenn courtesy of the NHLPA! On Wednesday, July 8, Upper Deck will visit Players Choice Sports Cards & Collectibles from 5:30-6:30 p.m. with Luke & Brayden Schenn on hand to sign free autographs for fans in attendance courtesy of the NHLPA! We will also host free pack wars and giveaways where fans can score Upper Deck apparel, insert cards and signed memorabilia! This will be evening you won’t want to miss! 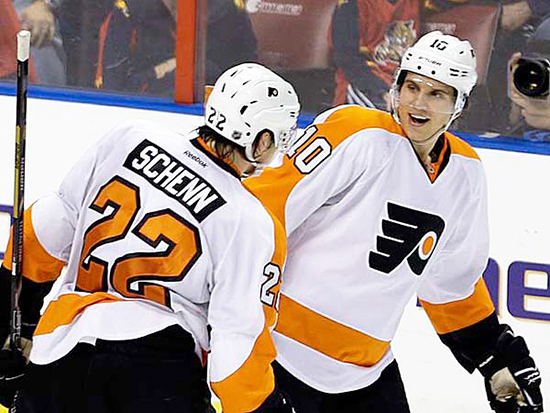 Get a free autograph from Luke & Brayden Schenn this Wednesday, July 8! Photo courtesy of Alan Diaz/AP. Silver Celebration Party at Players Choice Sports Cards & Collectibles – Wednesday, July 8 from 5:30 p.m.-6:30 p.m.